In 1968, George A. Romero created the most iconic Zombie movie of all time, Night of the Living Dead. This masterpiece sculpted the modern Zombie genre, as we know it today. This creation is a tribute to him. Wow. You have a bizarre (yet wonderful) imagination. You are extremely talented. Is there any media you haven’t mastered? Great work. I asked my dad if I could watch Night of the Living Dead with him. 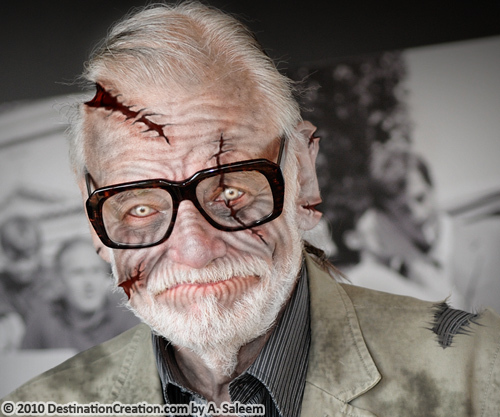 George Romero is a great guy. I can see why you zombified him, because he’s dead and u like zombies and horror.